Bouvet. The 274 mm gun is in the larger port turret. Secondary guns on a few pre-dreadnoughts. Used as Railway guns during World War I. 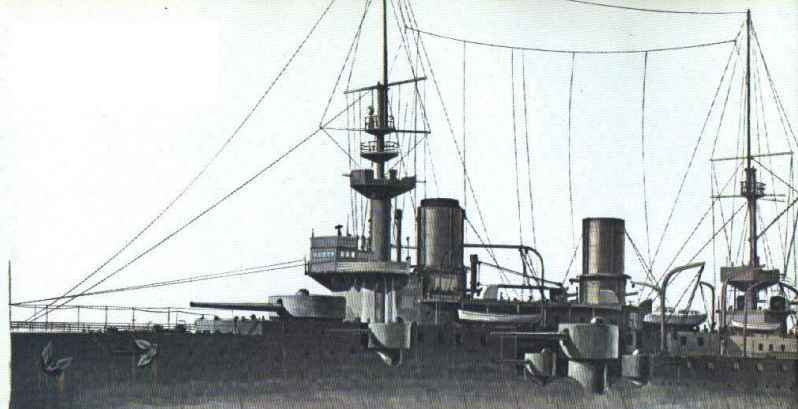 Construction was a complicated built-up design, similar to other French heavy guns. The two model types were similar, differing in constructional details. ^The "A/B" suffixes for HE rounds are my way to differentiate between projectiles, they were not official designations.